Earlier today, Verizon posted some official update documents for an upcoming OTA upgrade for the scaled-down variant of LG’s current flagship smartphone of 2013, the G2. The paperwork reveals that the handset is set to receive software version VS98012B which is a minor maintenance update that brings a multitude of bug fixes, stability improvements and speed optimizations. The LG G2 is an impressive high-end smartphone, which packs a 5.2-inch true HD-IPS + LCD capacitive touchscreen with a resolution of 1080 x 1920 pixels and a 424 PPI pixel density, a Qualcomm MSM8974 Snapdragon 800 chipset powered by four 2.26GHz Krait 400 CPU’s, the latest Adreno 330 GPU, 2GB of RAM, 16GB of flash memory, a 13-megapixel rear-facing camera with optical image stabilization and a 3,000 mAh non-removable Li-Po battery. Video playback quality has been improved when viewing on websites. Dialing 611 will now appear on device screen. TalkBack reds each deleted letter when using Messaging Keyboard. Backup Assistant Plus resumes syncing after completing a voice call. Device lockups have been reduced. Viewdini application has been removed. Verizon Cloud app is now preloaded. Messaging is now supported via QSlide. Voice quality has been improved. Google Security Patch has been added. Sadly, Verizon did not officially announce a date for the rollout of this upgrade, but we can assume that it is just over the horizon, though, seeing as operators usually post these documents on their websites just a day or two before they start pushing out the update. You can view the full list of system update instructions by clicking the source link below. 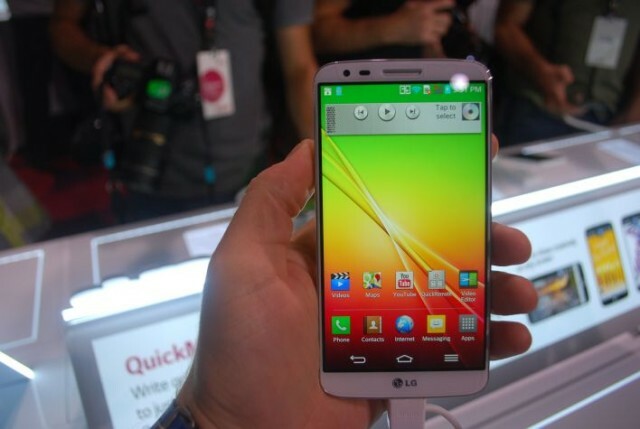 The post Verizon LG G2 Is Set To Get Minor Stability Update appeared first on Cult of Android.